I have a few hoarding weaknesses. Despite existing inventory, space, or need -- show me a chair, a cardigan, a purse, a grey shirt, a pillow -- there is a strong gravitational pull to buy. I try to exercise a lot of restraint and have gotten better as I've gotten older. Shiny though... there is always something new and shiny that bewitches me. This new line by Happy Socks is really testing my trigger finger. 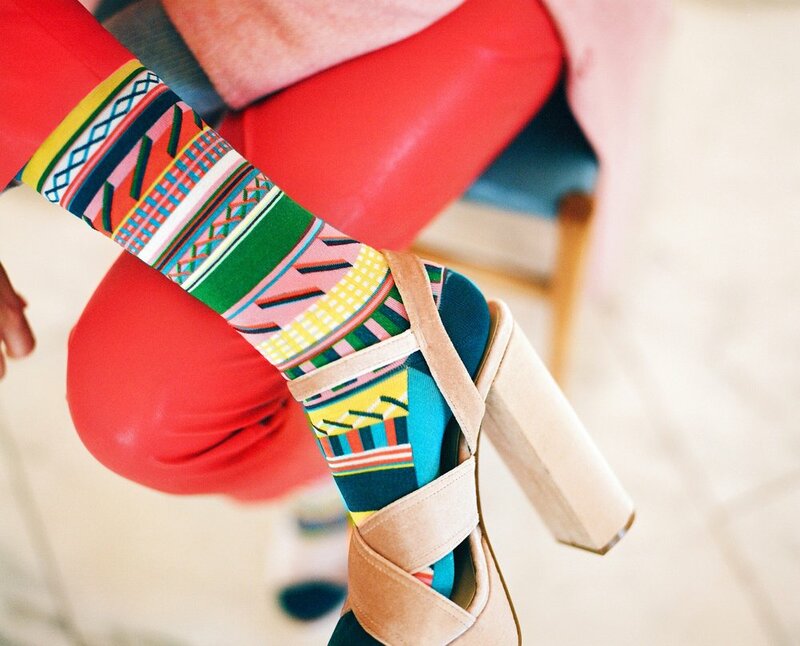 Wildly patterned and colorful socks are kind of the ultimate temptation (see also: Best Things); the relatively low cost and easy storage help justify my obsession. I just wish I had infinitely more feet so I could make better sense of this madness, and find a way to wear them all.